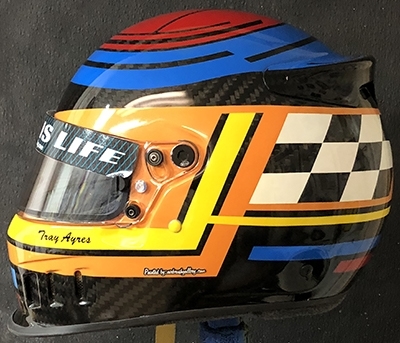 Bell helmet design 10-18 was the second helmet I have done or Trey in the last few years. Having past clients send me their new helmet is always my goal when I work with clients. 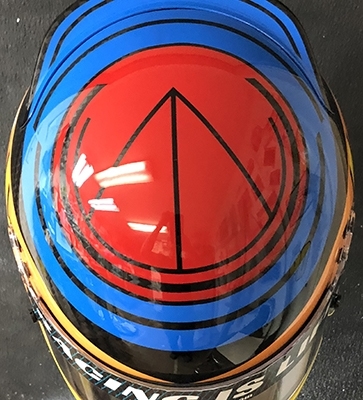 This is a very updated race helmet design from the first helmet I designed and painted for him. 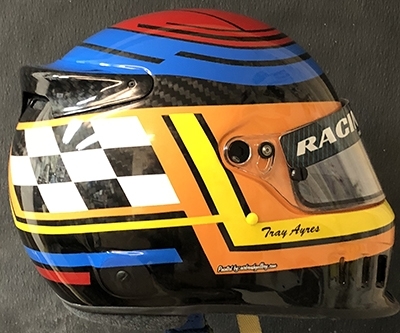 In this race helmet design, I left much of the carbon fiber showing which really makes the graphics pop. The helmet was given three coats of Tamco High Impact clear to protect the artwork and provide a nice shine for years to come. 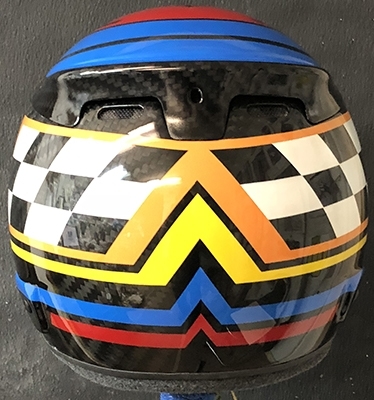 Contact Me today to get started on your helmet, call or text 1-352-361-3403.